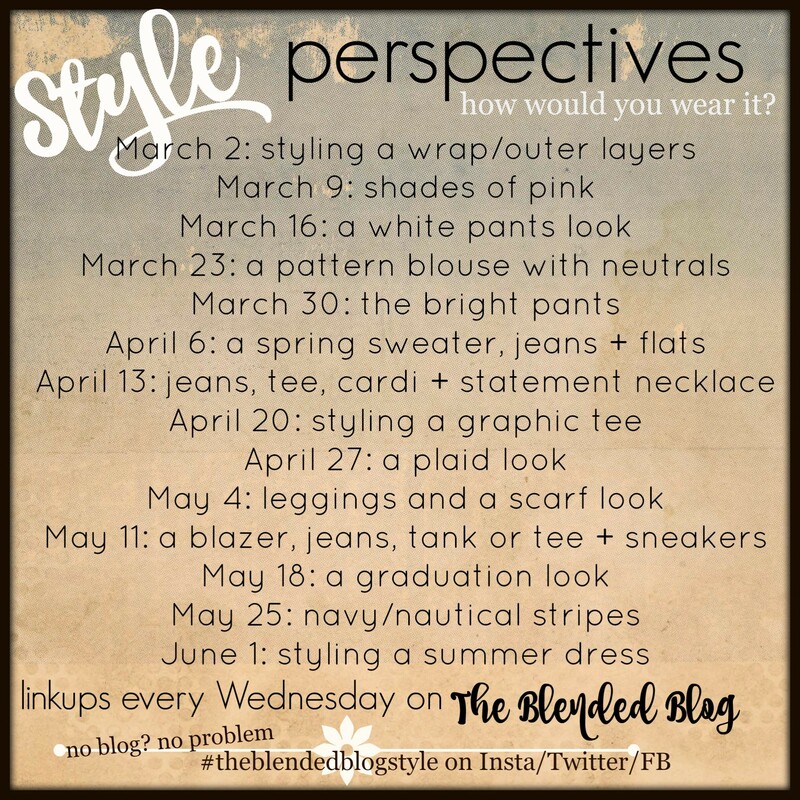 Welcome back to another week of styling prompts with the Blended Blog. Before we get to this week’s prompt, here’s a recap of last week. So many fabulous people! haha! 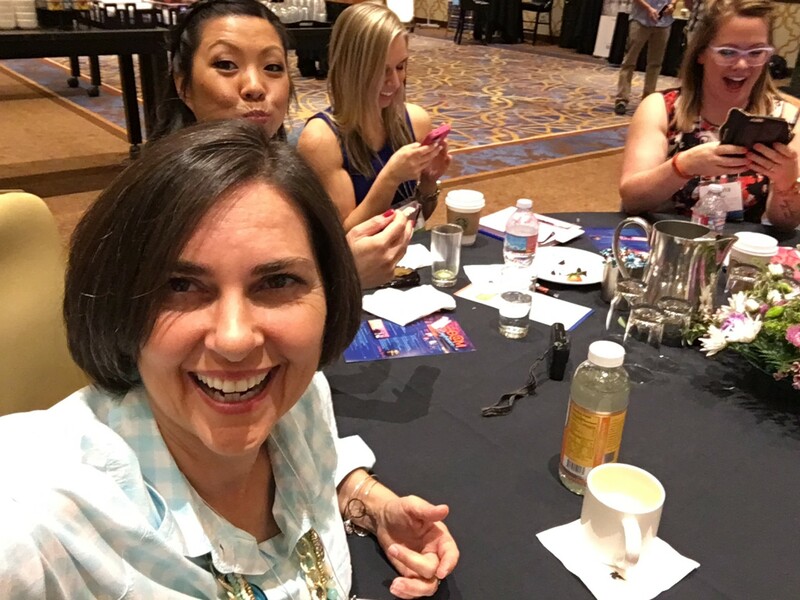 This week Alison from Puppies and Pretties (whom I met in real life!) 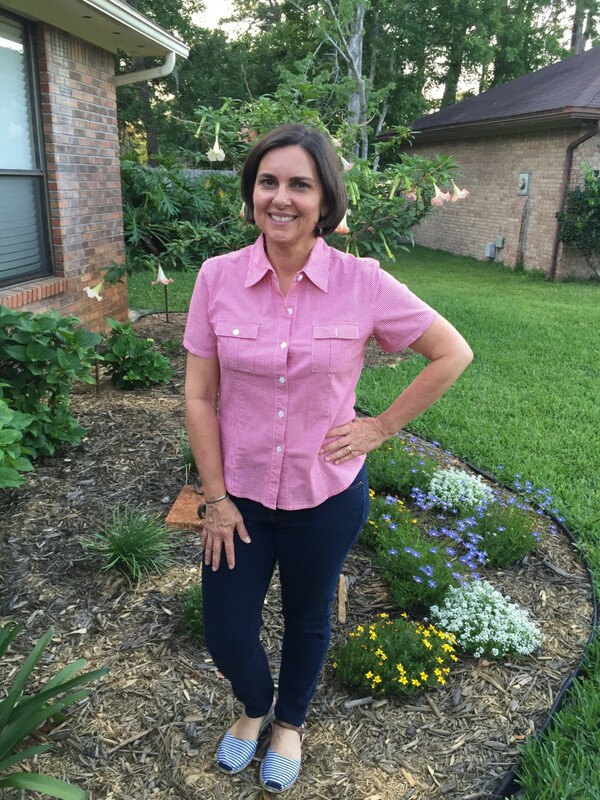 is styling plaid on the Blended Blog, but alas! All my plaid is winter plaid. I have NOTHING that is springy and plaid. However, checks make a good substitute and I have plenty of that! When I was in Las Vegas last week I wore this aqua checked shirt and white pants. It’s a very lightweight long-sleeved top so it’s perfect for spring. But when the weather gets even warmer, I prefer to stick to short sleeves if I have a day of errands and I know I will be in and out of the air conditioning. I have had this navy top for many years. It is a classic top that goes with many bottoms. 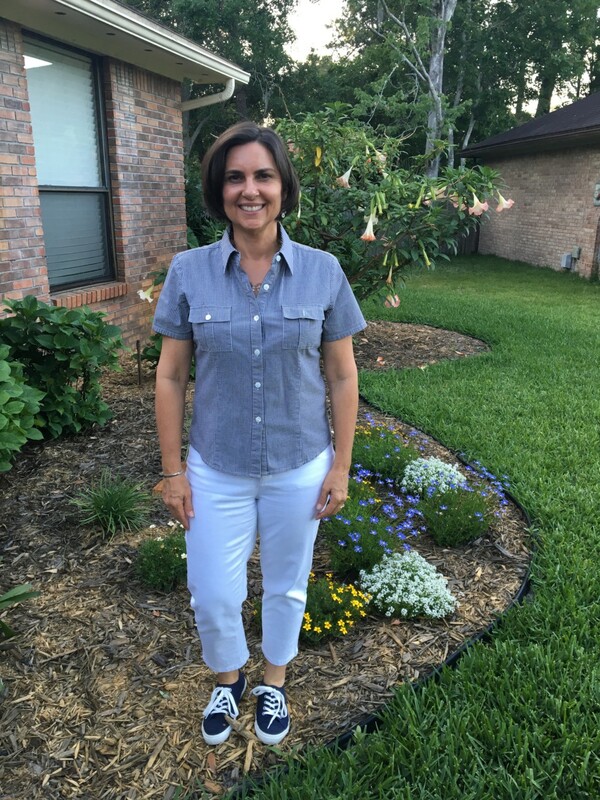 I’ve worn it with white pants (like I am in this picture), jeans, a denim skirt, and several different shorts. I can wear this with sandals or tennies for running around. I liked this top so much that I also have it in red. The red one also looks good with white pants but I really like it with dark wash skinny jeans. For a little added fun, I’m wearing striped blue espadrille sandals for a subtle pattern mix. I just got my all my sandals out this week and I was so happy to see these again! They were new last year and I had forgotten all about them! JOIN US! Add your link below. I was thinking about subbing gingham as well. I really like little cute short sleeved blouses like these. Good picks, Sheila! They have been faithful tops! Thanks for stopping by Carrie! You ROCK gingham!! And your plant and flowers are looking lovely too!! Thanks Andrea! I do love checks! And I’m very happy with our new front flower bed! Thanks for noticing! I just don’t think well out of the box – or in this case, plaid. I love that you interpreted the prompt with checks and some of the gals wore gingham. Genius. Love the striped shoes and the tennies. So glad to be a part of this great group of gals. Thanks Nicole! I’ll be wearing that sort of shoe for the next 8 months! Yet I’m grateful that we do get SOME change of seasons! A few hours south they hardly get a change at all! The outfit is lovely, but I got distracted by all the flowers. Oops. They are doing so well! This is the best the flower bed has looked in a loooong time! LOVE the gingham and it totally counts!! Plus, it looks fantastic on you!! I think my gingham shirt from today is very similar to the one you wore in Vegas. 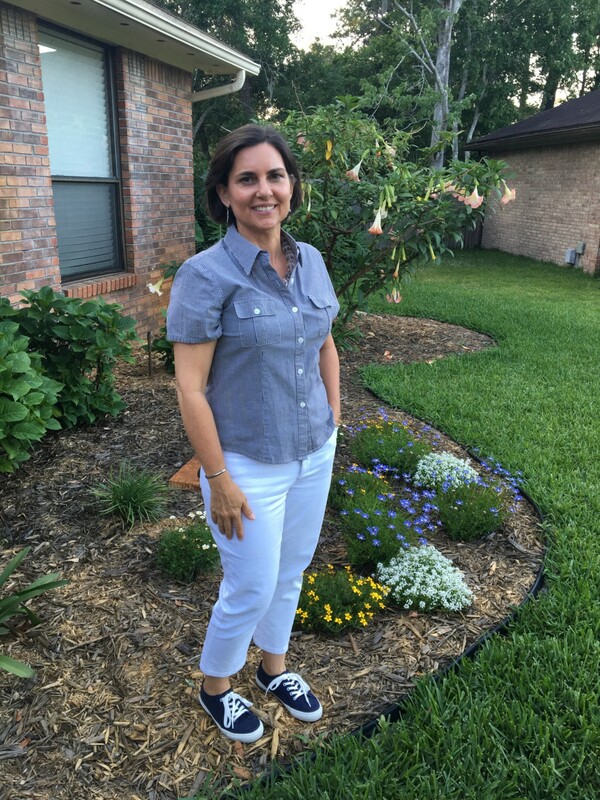 Love the navy top with white pants – so pretty! Is it from Old Navy?? Thanks Whitney! Shoes are a new way I’ve learned to update my wardrobe. Those are both new from last year. Gingham is a perfect plaid for spring. Love it! Phew! I noticed several others having the same dilemma! 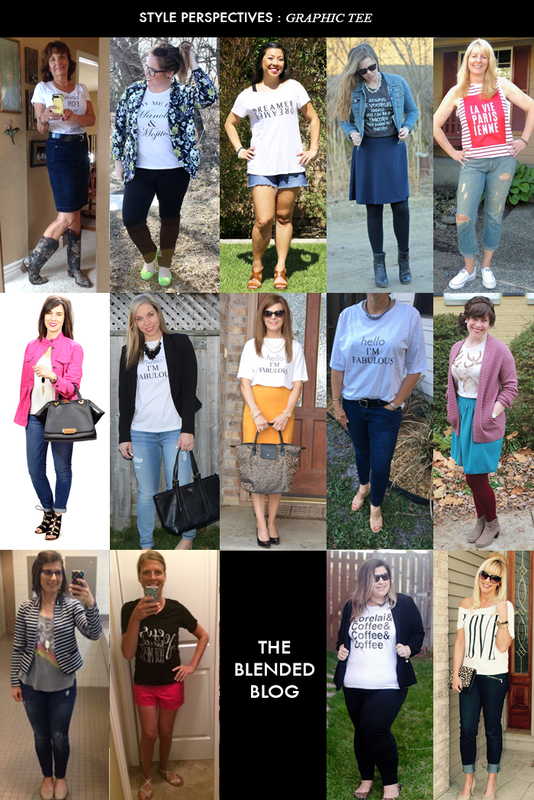 I am with you on spring plaid – mine is fall/winter. I like all three looks – but the red is probably my favorite look. I love your blue sneakers and those espadrille sandals. I do love those sandals! Gingham is perfect for spring! All of these looks are adorable! After stripes, gingham is my next favorite pattern/print! Thanks for stopping by Jill! Thanks! The weather has been perfect for these looks! Love your shirts! Looks so great! Yay for getting all of your summers shoes out! I have all of my shoes out all of the time, hehe. Although I should go through it and get rid of the ones I really don’t wear any more to make room for more shoes! 🙂 Love those tops you picked. Super cute and anything with white pants in a thumbs up in my book! My closet isn’t big enough for that! I have to change out clothes (and shoes) seasonally. I just decluttered two more pair of shoes that I didn’t wear this winter and that I don’t love. I do love white pants! I’m all about buying things I love in multiple colors. Love the gingham! I don’t do that very often, but when I really love something, I go for it! 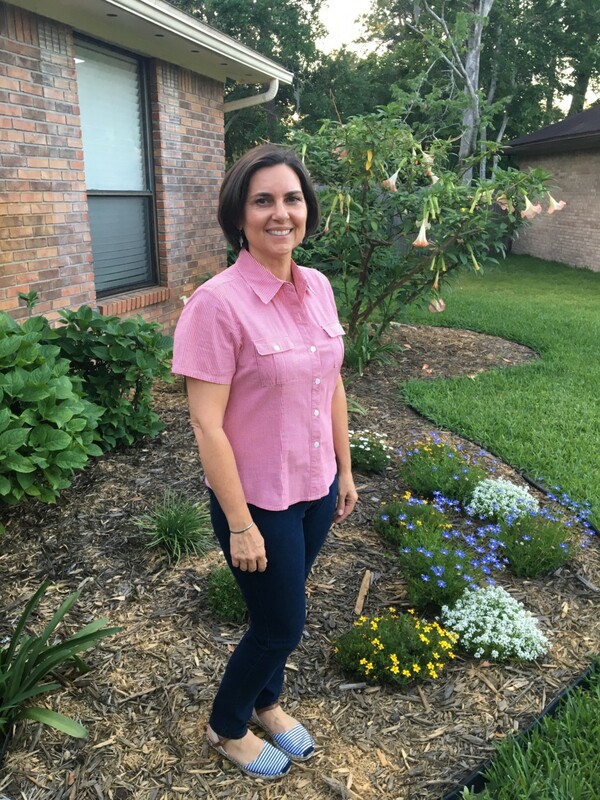 This shirt is such a cute classic piece and I can see why you have it in more than one color! Great styling for both looks and those striped espadrilles are so perfect for spring and summer. Thanks Jennie! I do love those striped espadrilles! They offer a fun pattern to a plain outfit, don’t they? Thanks for stopping by!